Some time last year, I was introduced to the sweetest family in New Jersey, by way of the other sweetest family in New Jersey who also happen to be clients of mine. Cheese! But really, they are all the best. This new family, who I will call Nelle & Co. (because my clients name is Nelle) had just sold their gigantic old Victorian home and bought two side by side industrial condo units, and planned to make them into one, beautiful new family home. It was quite a leap and change in lifestyle, but they were tired of having "fix up the house" projects taking up every single weekend and decided family time and down time was much more important then the old Victorian. Love. 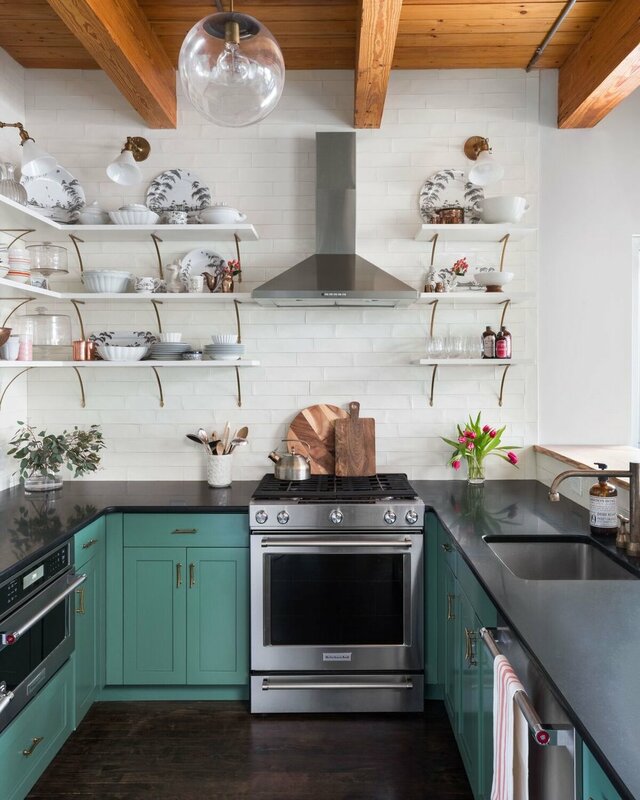 The biggest and most fun challenge of this project was that Nelle & Co. are much more drawn to the decor that a Victorian home would have, that classic, elegance, collected antiques, china, old antique dishes, but also loved the new industrial condo. Although the words Victorian and Industrial are basically polar opposites....some crazy magic occurred when I needed to find out these two worlds could be fused together and I couldn't be happier with how this space turned out! I worked on the majority of the house with them, and this is just the kitchen. More photos to come in the near future when I can get back down to NJ to shoot some more! Got a project you'd like to chat about working on together? Click here to give me shout.